Akhilesh Yadav detained at Lucknow airport, while he was trying to reach Allahabad University. Akhilesh Yadav was stopped so that he cannot get to Allahabad University. Yogi Adityanath commented that Akhilesh Yadav's visit can lead to violence and tension at Allahabad University. 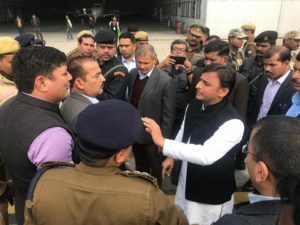 It is claimed that Akhilesh Yadav was manhandled at Lucknow Airport. 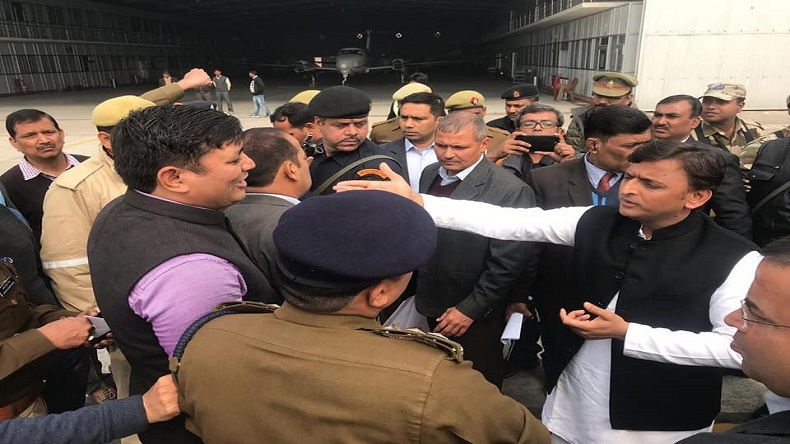 Akhilesh Yadav detained at Lucknow airport: Former Uttar Pradesh chief minister Akhilesh Yadav on Tuesday lashed out at Yogi Adityanath saying that he was detained while trying to board a Prayagraj bound plane at Lucknow airport. Addressing presspersons in capital Lucknow, the Samajwadi Party chief said he was supposed to address students at an event of Allahabad University, but the BJP government did not allow him to go there. Akhilesh Yadav, who often accuses the BJP of misusing investigative agencies for political gains, said he had sent acceptance for attending this event long time back on December 27 but Chief Minister Yogi Adityanath put a spoke in the wheel. 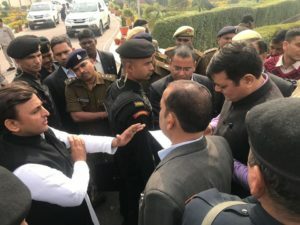 The BJP was trying to cover their nervousness through such attempts as the youth of the country have had enough of this government, the SP chief said in a detailed statement which he also shared on his official Twitter handle. The Opposition leader further said preventing him from engaging with the youth is a clear sign of how scared the present dispensation is. The BJP had betrayed the aspirations and hopes of young people who reposed their faith in Prime Minister Narendra Modi in 2014. However, Chief Minister Yogi Adityanath has claimed that Akhilesh Yadav’s visit to Allahabad University could have sparked violence. He said Samajwadi Party should refrain itself from anarchist activities. 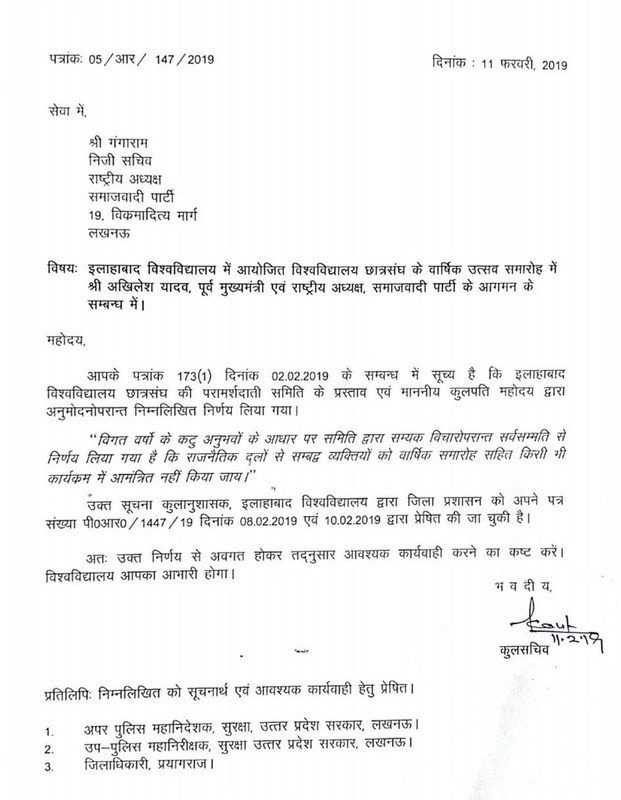 However, the Registrar of Allahabad University had yesterday written a letter to the Personal Secretary of Samajwadi Party Chief Akhilesh Yadav, informing him that politicians are not allowed in university programmes, news agency ANI reported.